The obvious trouble with building the Shantyboat in California to float down the Mississippi River is getting it there. Now, here we are stuck in Auburn, California at the foot of our first big hurtle, the formidable Sierra Nevada mountains, with a busted cooling system. 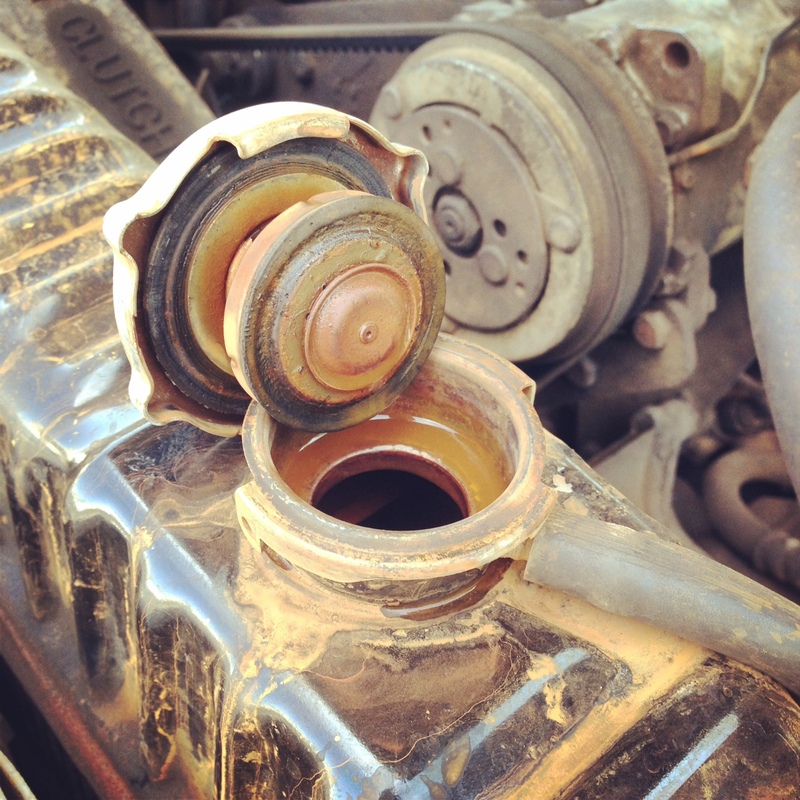 We are trying to raise $2500 quick like to fix the truck and provide a tiny contingency fund. 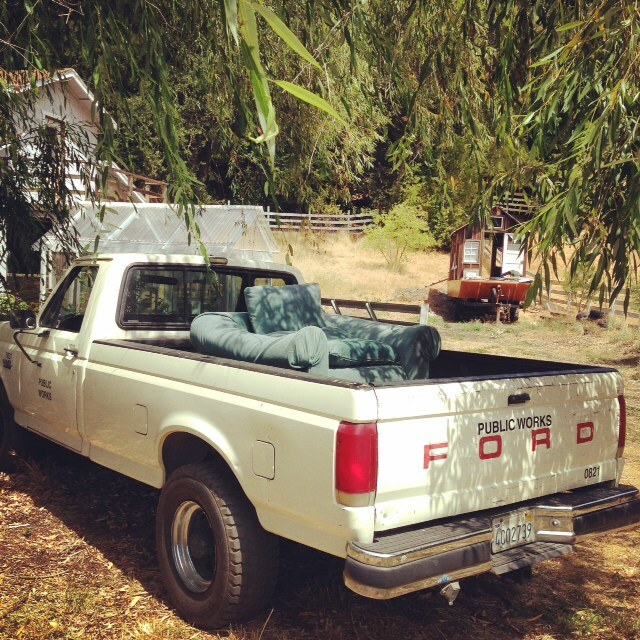 I bought a series of burly trucks over the last year to tow the shantyboat across country. Did you know people pay upwards of 10 grand to buy used heavy duty diesel pickup trucks? Well, we had a more shoestring budget — even with our successful but modest project Kickstarter — so I bought a beautiful and slightly older Ford F250 diesel and did some work to it (new brakes, some steering work, and so on). I haven’t heard the full estimate from the auto tech yet, but the rumor I heard was, “You’ll definitely need a new radiator.” Ug, the internets say minimum for a new radiator is $1200. Plus labor. Plus anything else that is broken. Crazy. Time to start looking at fundraising. Care to support the project a little further? We can consider a new cooling system an investment in peace of mind. 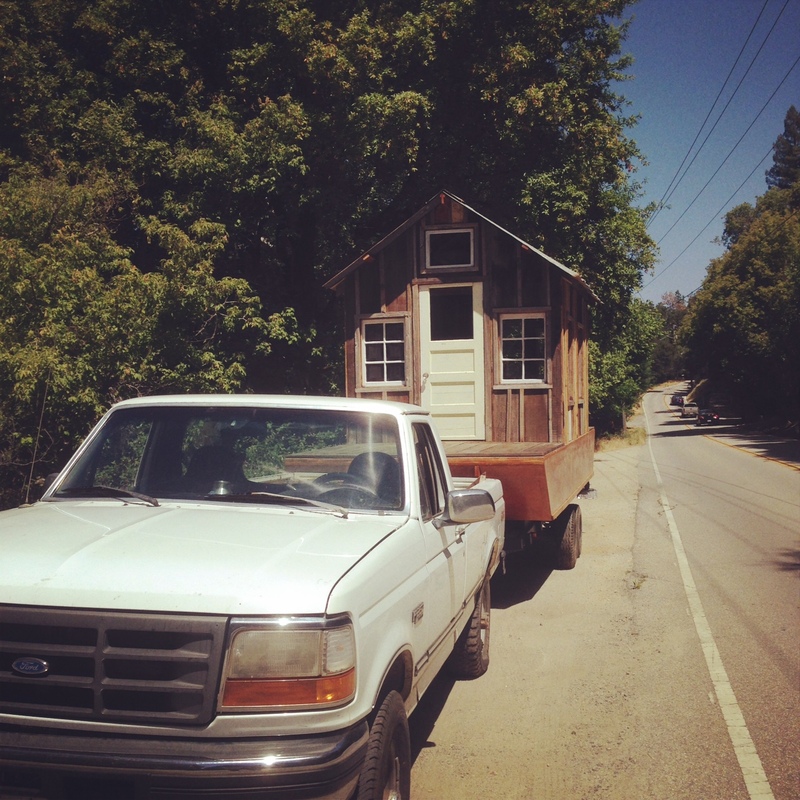 It will help us get the shantyboat over both the Sierras and the Rockies. A personal note here: My sweet friends have been so generous toward this project. I want to encourage you to offer more help only if you really really want to and can afford it. In return, we promise to keep the blog thoroughly updated, to report on our adventures regularly, and to introduce you to the amazing people we meet. Again, thanks for your continued support of this exciting project. UPDATE: The automotive shop just called and said that repairing the radiator and replacing the thermostat and hoses would be less than I thought, about $850. Any extra we rake in we will use for the inevitable contingency down the road.